Light and fire are interconnected. Light radiates heat, and when focused produces fire; fire emanates light. Both also have a wide spectrum of electromagnetic rays and energy, such as radiate from stars. Light illumines, is life-giving, but also burns. Orthodoxy teaches that on a supernatural level, uncreated light, fire, energy, and grace eternally emanate from God’s divine nature. Like God’s love, they exist before the creation of the universe and time, and are called “uncreated”. We can see created light with our physical eyes, but uncreated light can only be seen with the eyes of the heart. The Orthodox prayer, “In Thy light, we shall see light,” refers to the reality that when we walk and live in God’s light we experience the uncreated light that is beyond visible light. God’s divine essence is forever unknowable; yet God reveals Himself to us in His divine energies and grace, in which He is knowable. For simplicity’s sake, this is like saying we cannot have a direct experience of the surface of the sun without being immediately destroyed, but it is possible to encounter the sun by means of its heat and light. In receiving its heat and light we actually do encounter the sun, but in a form we can survive. The divine light, fire, energy and grace of God pervade and sustain the universe. This light/fire was present in the burning bush from which God spoke to Moses on Mt Sinai. It burned the bush, but did not consume or destroy it. During Jesus’ Transfiguration on Mt Tabor, the uncreated divine light of God’s presence revealed Jesus’ divine nature to His three closest disciples. They were enabled by God’s grace to see this light, but had others been present, they might have not seen it. 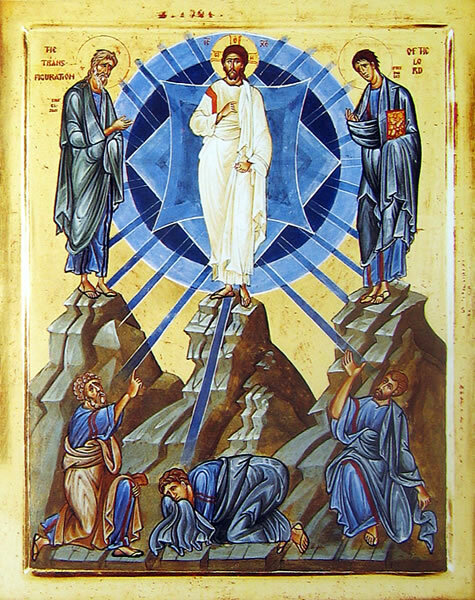 The Orthodox hymn for the Feast of the Transfiguration says the disciples experienced this “inasmuch as they could bear it”. The Orthodox say that whether the divine light of God illumines or burns is determined not by the condition of the light or the action of God, but by the condition, nature, and perception of the person receiving the light. To the one who gladly receives the light, it illumines. To the one who resists the light, it burns. This holds true for both this life and the life to come. This explains how God can love man unconditionally forever, and yet be experienced as the source of anguish and suffering by those who seek to flee Him. Is Hellfire Physical or Spiritual? 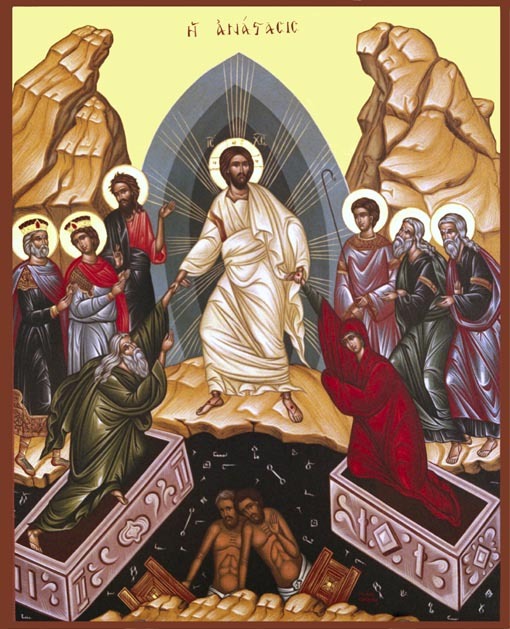 The Christian Faith holds that at the general resurrection of the dead at the end of time, the souls of the lost will be reunited with their raised incorruptible bodies. Because the non-Orthodox view death as God’s legal punishment for sin, their view of the afterlife is that God actively continues and intensifies this punishment forever. In their resurrected bodies, the lost will suffer forever – physically as well as spiritually. In this concept, the bodies of the damned are specially designed by God to endure all the suffering and physical pain imaginable with no destruction or deterioration. This torment has no hope of ceasing or producing reconciliation. It serves no purpose other than the satisfaction of the “necessity of divine justice”. Therefore those judged receive an infinite amount of punishment for a finite number of sins committed in a relatively short lifetime. 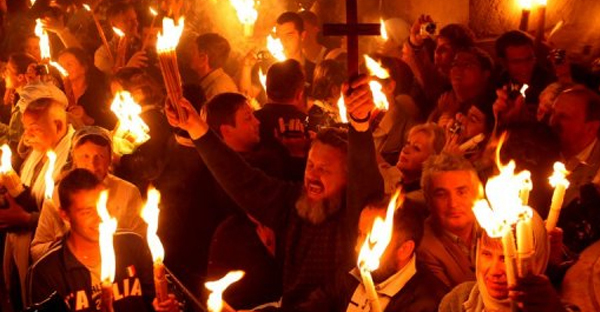 In contrast to both Roman Catholics and Protestants, the Orthodox teach that hellfire is the presence of God. This fire is not physical but spiritual, because it is uncreated. For those who love God and desire Him, His divine light and presence make heaven. For those who want to escape God’s presence, His light, purifying fire, and omnipotence make existence hell because the lost are unable to escape Him. St Basil the Great wrote, “The evils in Hell do not have God as their cause, but we cause them”. The oldest known creed of the Church, the Apostles’ Creed, does not state that God created hell. It states, “I believe in one God, the Father Almighty, Maker of heaven and earth”, not, “Maker of heaven, hell, and earth”. God is not the creator of hell. We humans are the cause of our own suffering and death. What Makes Heaven, Heaven and Hell, Hell? In typical non-Orthodox teaching, hell is a place created by God for the express purpose of banishing the wicked for everlasting punishment. The damned are spatially cut off from God, His Kingdom, His people, and His love. But in the Orthodox Christian understanding, both heaven and hell are essentially not spatial, but relational. Hence, the goal of the Christian is not to “get to Heaven” as to a locale, but rather to grow into deepening communion with God by acquiring the Holy Spirit, beginning in this life and continuing forever. Similarly, the Church does not see herself as sending people to heaven or to hell, any more than God send people there. Rather, the Church is the hospital for sinners, preparing people for the experience that all will have being in the presence of God. The only real question is what effect seeing God will have on us. The Orthodox understanding is that Heaven and Hell are primarily states of the human soul. What makes them what they are is our individual response to God’s love, whereby God is either included or excluded from our being. In this present life we can experience a foretaste of Heaven as we live in communion with God, regardless of our physical circumstances. Jesus says, “For indeed, the Kingdom of God is within you” (Luke 17:21). We can also experience a foretaste of hell by excluding Him from our lives: “but he who does not believe is condemned already” (John 3:18). In either case, it is neither a change in our physical location nor a change in God’s attitude that determines our soul’s state; it is our own choice. Jesus says that they unrighteous are to be cast into outer darkness (see Matthew 8:12; 22:13; 25:30, which refer to She’ol). Orthodox Christianity speaks of hell as darkness; its fire is a dark fire. Though the fire itself is light and spiritually illuminating, it is not perceived as such by the lost because they are spiritually blind. See St Irenaeus (second century) Against Heresies 5, 27, 2. Thus, because of the wilful blindness of the lost, the light appears as darkness. This provides insight into our Lord’s saying, “If therefore the light that is in you is darkness, how great is that darkness!” (Matthew 6:23). Likewise, St Anthony the Great of Egypt, often called the father of monasticism, said, “Thus to say that God turns away from the wicked is like saying that the sun hides itself from the blind”. The Orthodox believe God never withdraws His love or ceases loving the lost. In resisting God, we do not change Him; we only change ourselves. Resisting the divine light of God’s love does not change God, but it has everlasting consequences for those in opposition. When we sin but remain unrepentant, we begin to experience God’s love as fear and wrath. This is not because God has changed and become vindictive and wrathful, but because we have changed our relation to, and therefore our experience of God (John 1:5, 9-11; 3:19-21; 1 John 1:5-7). Jesus never turned away anyone who came to Him seeking forgiveness, healing, and life. 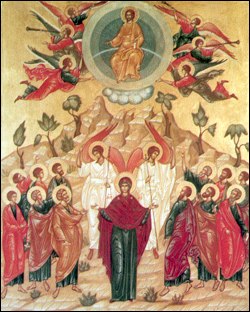 An example of this divine fire is presented in the Orthodox icon of the Last Judgement, which depicts the river of divine fire proceeding from the throne of God. This river is presented as heaven for those on one side, and as hell for those on the opposite side. The fire prepared for the torment of the devil and his angels, is divided by the voice of the Lord, so that after this there might be two powers in it: one that burns, and another that illumines; the tormenting and punishing power of that fire is reserved for those worthy of torment; while the illumining and enlightening power is intended for the shining of those who rejoice. Therefore the voice of the Lord Who divides and separates the flame of fire is for this: that the dark part might be a fire of torment and the unburning part a light of enjoyment. (Saint Mark of Ephesus quoting Saint Basil the Great, Homily on Psalm 28. Rose, Seraphim, The Soul After Death [Platina, California: Saint Herman of Alaska Brotherhood, 1993], p. 209). So the Scriptures and the Orthodox Church understand that it is not the absence or exclusion of God that makes hell; rather, because He is everywhere present, it is the impossibility of completely excluding God that makes life hellish for the lost. Human freedom permits a certain degree of exclusion of God from one’s will and life, but total exclusion is impossible – even the continued existence of the lost is the result of His grace and love. 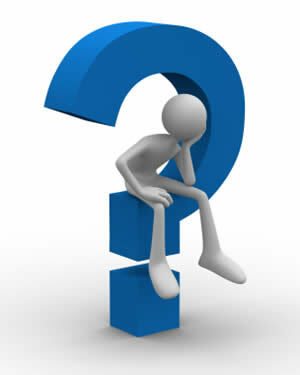 So to say, “I want to sin but not suffer its consequence”, is to state the impossible. It is like saying, “I want to live in darkness, but experience the warmth and brightness of light”, or, “I want to live apart from God, My Creator, but receive the blessings and benefits of being in union and communion with Him”. Sin is not breaking a law; it is the attempt to exclude God. Holiness and life are not found in keeping the law; they are found in welcoming God’s presence. Both paths contain within themselves their own reward or punishment; their consequences are not imposed from without. It is a paradox that the same fire that purifies gold also burns and consumes wood. It is “like a refiner’s fire…a refiner and a purifier of silver” (Malachi 3:2, 3). Previously we discussed the metaphor of the sword in the fire, where the sword represents Jesus’ glorified human nature and the fire the energy of God’s divine nature. The heated sword represents the indwelling and energizing of Christ’s human nature by His divine nature. When we bring the sword of our life or nature into contact with the energized sword of Jesus’ human nature by receiving His Body and Blood and living holy lives, our lives take on similar qualities, radiating spiritual energy, light, fire, and love. Extending this metaphor, we can view God as the furnace a craftsmen uses to temper a sword. When a properly prepared sword is placed within a fire, it is purified and strengthened, and takes on the properties of the fire by radiating heat and light. If the metal is properly forged and wrought, it will not be destroyed. However, this same fire will melt and destroy a sword that is not properly prepared. This metaphor illustrates how those who desire God and His light/fire are purified, energized, and transformed, while those who abhor His light/fire experience destruction. The fire of God’s furnace is a loving fire, for God is love and the divine fire of His presence is love. In discussing love, St John of the Ladder (seventh century), abbot of St Katherine Monastery at Mt. 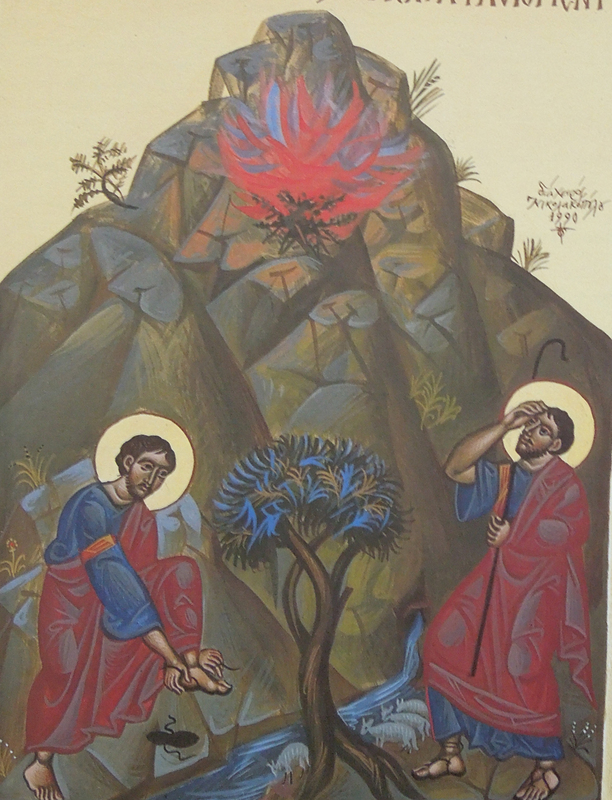 Sinai, says of the saints, “for just as subterranean waters nourish the roots of a plant, the fires of Heaven are there to sustain their souls”. The divine light of God is also a two-edged sword. The surgeon’s sharp scalpel of healing can also be used as a dagger of death. For the one who permits the master surgeon to wield the knife, it removes the sinful spiritual tumour. In contrast, for the one who distrusts the master surgeon and struggles and resists, the potentially healing and life-giving scalpel can be deadly. This purging or burning of the Holy Spirit is a purification for our good as we receive it in faith and love. This uncreated fire is both a spiritual and a loving fire, for God is Love and divine fire of His presence is Love. See St Symeon the New Theologian, tenth century (Discourse 78). Several places in the Scriptures appear to say that God is the one who punishes and casts the sinners out of His presence. Examples include the parables of the unforgiving servant (Matthew 18:21-35); the wedding feast (Matthew 22:1-14); the wise and foolish virgins (Matthew 25:1-13); and the great supper (Luke 14:15-24). These all imply that people were punished and cast out at the Master’s command. However, these passages should be taken metaphorically; in every case the cause of suffering is the people’s own actions. In general, their suffering is caused by being in the presence of the Master unprepared. Moreover, in this life, chastisements are fatherly corrections or, as in the destruction of the Flood and that of Sodom and Gomorrah, necessary to put an end to evil. This is similar to a surgeon amputating a gangrenous limb to save the patient’s life. However, such chastisements have reference only to this temporal life; their purpose is to correct what can still be corrected. The Scriptures do represent God as a judge and the judged as suffering torment, but such passages should be interpreted in harmony with the whole Biblical teaching on the subject. The Fathers taught that such language communicates truth to those who are able to understand only at the most simple and basic level, which includes most of us. St Basil the Great wrote that such representations of God are given because “fear…edifies simple people” (St Basil the Great, On the Human Condition, Crestwood NY, SVS Press, 2005) –Homily: That God is not the Cause of Evil, pg. 7.98. This life is either a foretaste of Heaven or a foretaste of hell. Those who go to hell do not want to go to Heaven; “going to Heaven” is not a change of location, but drawing ever closer to the God who is repulsive and abhorrent to them. Some say that there are no doors in Heaven – there is nothing preventing the lost from entering, other than their refusal. To “come in” means to commune with God forever. “Ultimately”, states CS Lewis, “there are only two kinds of people…those who say to God, ‘Thy will be done’, and those to whom God says, in the end, ‘Thy will be done’. All that are in Hell, choose it. Without that self-choice there could be no Hell…The doors of Hell are locked on the inside” (The Great Divorce, London, Geoffey Bles, 1945, p. 115). Such is the nature of a loving God. God really is Love, rather than merely having love. Thus, St John Chrysostom (fourth century) challenges us to experience the healing and life-giving fire of God’s love and presence (See Homily LXXVI). In the future life the Christian is not examined if he renounced the whole world for Christ’s love, or if he has distributed his riches to the poor or if he fasted or kept vigil or prayed, or if he wept and lamented for his sins, or if he has done any other good in this life, but he is examined attentively if he has any similitude with Christ, as a son does with his father, (See The River of Fire, Homily 2, ch 3, p 119). Because Heaven is primarily a state of being in which the redeemed are moving into an ever-deepening life in God, the experience of Heaven is not static, but ever intensifying. Yet we are told that not all advance at the same rate. The greater our desire, love, and inclusion of God in our capacity to receive the divine light and the fuller is our experience of Heaven. See St Gregory the Theologian, fourth century (Oration 40 on Holy Baptism, 45). An everlasting rejection parallels an everlasting acceptance of God. Just as there exists the possibility of going from glory to glory, of drawing ever closer to God, going deeper and deeper into Heaven, there exists the possibility of spiralling down into deeper degrees of hell. That is what the Scriptures mean when they speak of different levels of reward and punishment in the afterlife. So the Orthodox understanding is that Heaven is more than a place with an inside and an outside. Similarly, it is more than an achieved condition that is static, never deepening or changing. Rather, it is a dynamic, living condition, moving from one degree or level of bliss to a deeper degree or level of bliss. It is an everlasting journey in which the redeemed go, as the Scripture says, from glory to glory (2 Corinthians 3:18). Of course, mere words are inadequate to describe judgement and salvation. Human language uses words based on our common understanding and experience. The saints and the prophets received glimpses or foretastes of being in God’s presence, then resorted to words and allegory to share these experiences in the Scriptures and their writings. St Paul quotes from the prophet Isaiah: “Eye has not seen, nor ear heard,/Nor have enetered into the heart of man/The things which God has prepared for those who love Him” (1 Corinthians 2:9). Being “a living sacrifice”, as St Paul challenges us to be, is not seen as a desirable goal by many. Fewer still would want to be a holocaust, offered up in totality to God. Only through beginning to understand who God is, and in what sense Jesus Christ presents for us the ultimate victory of life over death, could I deal with my own misery. This is why it was crucial for me to understand what God’s love looks like, both in a broken world and in the afterlife. Only in seeing how God loves could I come to understand how I should love, and discover in what way love triumphs over death. We all to some degree suffer trial, disaster, tragedy, pain, sorrow, loneliness, abandonment, despair, confusion, and even dread, horror, and terror. Most view these as abhorrent, destructive, and ultimately of no redeeming value. Yet as human suffering becomes sanctified and illumined with divine light and love, we understand differently. In His Incarnation, God the Word sanctifies not only our fallen human nature, but suffering as well. When in faith we share in Christ’s sufferings, we are closer to fulfillment and godlikeness than we do not. This is why early Christians considered that the highest calling was to be martyred for the faith. Not the Islamic sort of “martyrdom” of death, in which the goal is to destroy others. Theirs was the true martyrdom of love, in which one is tortured and put to death because of one’s unswerving love for God and others, including one’s enemies. The true martyr seeks to save life, not destroy it. Power is popularly understood as gaining increased control and mastery over the world, over others, or even over death itself. In contrast, for the Orthodox Christian, ultimate power is to be godlike, to love as He does, to be humble, to serve, to suffer, even to be smashed, like Christ on the Cross, yet through it al to maintain love and faith as did the Incarnate God. For the Christian, authentic ultimate power is to be a human burning bush, burning with divine love, light, and fire yet not being consumed or destroyed. It is to be a living holocaust – and offering to God – knowing that though we lose everything in this life, we are not defeated is we have God, who is Life and Love. While burning with the fire of God’s love, true power is to be thankful for all things at all times, yet simultaneously willing to relinquish all things at all times, save God.